28. S. Amirjalayer, M. Tafipolsky , R. Schmid, “Surface Termination of the Metal-Organic Framework HKUST-1: A Theoretical Investigation”, J. Phys. Chem. Lett., 2014, 5, 3206. 25. A. Huerta-Viga, S. R. Domingos, S. Amirjalayer, S. Woutersen, “A salt-bridge structure in solution revealed by 2D-IR spectroscopy”, Phys. Chem. Chem. Phys.,2014, 16, 15784. 24. S. R. Domingos, A. Huerta-Viga, L. Baij, S. Amirjalayer, D. A. E. Dunnebier, A. J. C. Walters, M. Finger, L. A. Nafie , B. de Bruin, W. J. Buma , S. Woutersen, “Amplified Vibrational Circular Dichroism as a Probe of Local Biomolecular Structure”, J. Am. Chem. Soc., 2014, 136, 3530. 23. T. H. van der Loop, F. Ruesink, S. Amirjalayer, H. J. Sanders, W. Jan Buma, S. Woutersen, "Unraveling the Mechanism of a Reversible Photo-Activated Molecular Proton Crane" J. Phys. Chem. B, 2014, 118, 12965. 22. M. Wehring, P.C.M.M. Magusin, S. Amirjalayer, R. Schmid, F. Stallmach, "Ferrocene in the metal–organic framework MOF-5 studied by homo- and heteronuclear correlation NMR and MD simulation", Micropor. Mesopor. Mater., 2014, 186, 130. 21. J. C. Manton, S. Amirjalayer, A. C. Coleman, S. McMahon, E. C. Harvey, G. M. Greetham, I. P. Clark, W. J. Buma, S. Woutersen, M. T. Pryce C. Long, "Excited state evolution towards ligand loss and ligand chelation at group 6 metal carbonyl centres",Dalton Trans. 2014, 43, 17797. 20. E. M. M. Tan, S. Amirjalayer, P. Mazzella, B. H. Bakker, J. H. van Maarseveen, H. Bieraugel, W. J. Buma, “Molecular Beam and ab Initio Studies of Photoactive Yellow Protein Chromophores: Influence of the Thioester Functionality and Single Bond Rotation”, J. Phys. Chem. B, 2014, 118, 12395. 19. S. R. Domingos, S. Roeters, S. Amirjalayer, Z. Yu, S. Hecht, S. Woutersen, “Elucidating the backbone conformation of photoswitchable foldamers using vibrational circular dichroism”, Phys. Chem. Chem. Phys., 2013, 15, 17263. 18. E. M.M. Tan, S. Amirjalayer, S. Smolarek, A. Vdovin, A. M. Rijs, W. J. Buma, “Conformational heterogeneity of methyl-4- hydroxycinnamate: a gas-phase UV-IR spectroscopic study”, J. Phys. Chem. B, 2013, 117, 4798. 17. E. M. M. Tan, S. Amirjalayer, B. H Bakker, W. J. Buma, “Excited-state dynamics of Photoactive Yellow Protein chromophores elucidated by high-resolution spectroscopy and ab initio calculations”, Faraday Discuss., 2013, 163, 321. 16. 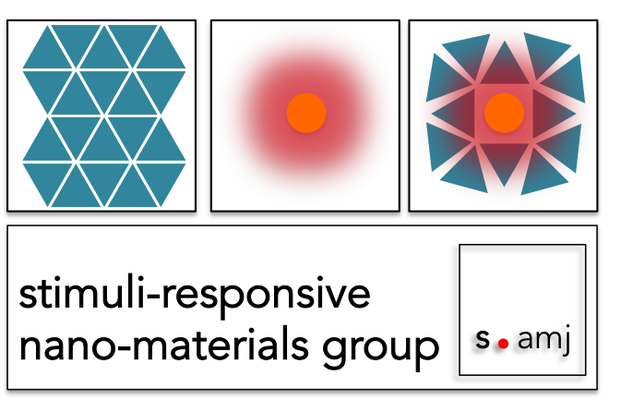 S. Bureekaew, S. Amirjalayer, M. Tafipolsky, C. Spickermann, T. Kanchan Roy, R. Schmid, “MOF-FF – A flexible first-principles derived force field for metal-organic frameworks”, Phys. Status Solidi B, 2013, 250, 1128. 15. H. Noei, O. Kozachuk, S. Amirjalayer, S. Bureekaew, M. Kauer, R. Schmid, B. Marler, M. Muhler, R. A. Fischer, Y. Wang, “CO Adsorption on a Mixed-Valence Ruthenium Metal-Organic Framework Studied by UHV-FTIR Spectroscopy and DFT Calculations”, J. Phys. Chem. C, 2013, 4, 5658. 14. H. Noei, S. Amirjalayer, M. Müller, R. Schmid, M. Muhler, R. A. Fischer, Y. Wang, “Low-Temperature CO Oxidation over Cu-Based Metal–Organic Frameworks Monitored by FTIR Spectroscopy”, ChemCatChem, 2012, 4, 755. 13. S. Bureekaew, S. Amirjalayer, R. Schmid, “Orbital directing effects in copper and zinc based paddle-wheel metal organic frameworks: the origin of flexibility”, J. Mater. Chem., 2012, 22, 10249. 12. S. Amirjalayer, M. Tafipolsky, R. Schmid, “Adsorption of Hydrocarbons in Metal– Organic Frameworks: A Force Field Benchmark on the Example of Benzene in Metal– Organic Framework 5”, J. Phys. Chem. C, 2012, 116, 15369. 11. S. Amirjalayer, R. Snurr, R. Schmid, “Prediction of Structure and Properties of Boron- Based Covalent Organic Frameworks by a First-Principles Derived Force Field”, J. Phys. Chem. C, 2012, 116, 4921. 10. S. Amirjalayer, M. Tafipolsky, R. Schmid, J. Phys. Chem. C, “Exploring Network Topologies of Copper Paddle-Wheel based Metal-Organic Frameworks with a First Principles Derived Force Field”, 2011, 115, 15133. 9. S. Hertel, M. Wehring, S. Amirjalayer, M. Gratz, J. Lincke, H. Krautscheid, R. Schmid, F. Stallmach, ”NMR studies of benzene mobility in metal-organic framework MOF-5”, Eur. Phys. J. Appl. Phys., 2011, 55, 20702. 8. V. Gwildies, T. Thiede, S. Amirjalayer, L. Alsamman, A. Devi, R.A. Fischer, “All- Nitrogen Coordinated Amidinato/Imido Complexes of Molybdenum and Tungsten: Syntheses and Characterization”, Inorg. Chem., 2010, 49, 8487. 7. M. Tafipolsky, S. Amirjalayer, R. Schmid, “First-Prinicples-Derived Force Field for Copper Paddle-Wheel-Based Metal-Organic Frameworks”, J. Phys. Chem. C, 2010, 114, 14402. 6. M. Tafipolsky, S. Amirjalayer, R. Schmid, “Atomistic Theoretical Models for Nanoporous Hybrid Materials”, Micropor. Mesopor. Mater., 2010, 129, 304. (Invited review). 5. S. Amirjalayer, R. Schmid, “Mechanism of Benzene Diffusion in MOF-5: A Molecular Dynamics Investigation”, Micropor. Mesopor. Mater., 2009, 125, 90. 4. S. Amirjalayer, R. Schmid, “Conformational Isomerism in the Isoreticular Metal Organic Framework Family: A Force Field Investigation”, J. Phys. Chem. C, 2008, 112, 14980. 3. S. Amirjalayer, M. Tafipolsky, R. Schmid, “Molecular dynamics simulation of benzene diffusion in MOF-5: Importance of lattice dynamics”, Angew. Chem. Int. Ed., 2007, 46, 463. (Selected as very important paper (VIP)). 2. M. Tafipolsky, S. Amirjalayer, R. Schmid, “Ab initio parametrized MM3 force field for the metal-organic framework MOF-5”, J. Comp. Chem., 2007, 28, 1169. 1. S. Hermes, F. Schröder, S. Amirjalayer, R. Schmid, R. A. Fischer, “Loading of porous metal-organic open frameworks with organometallic CVD precursors: inclusion compounds of the type [LnM](a)@MOF-5”, J. Mater. Chem., 2006, 16, 2464.